A lot of digital ink has been devoted to possible replacements for Google Reader in the 3 months since Google initiated the Readerpocalypse, but much of the attention has been paid to iOS and Android apps. Other OSes like Linux have generally gotten less attention, and today that is going to change. A reader happened to mention Liferea yesterday. 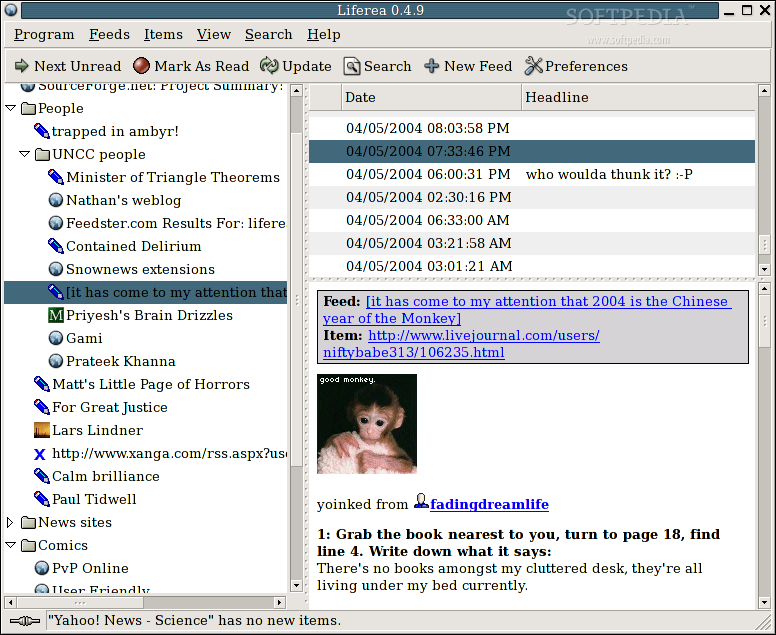 This is a Linux-only news reader app, so it is of little use to me. But while I was reading about it I also came across a few other possibilities that might be worth considering. Note: Not all of these apps are strictly Linux only; at least one has Windows and Unix versions as well. 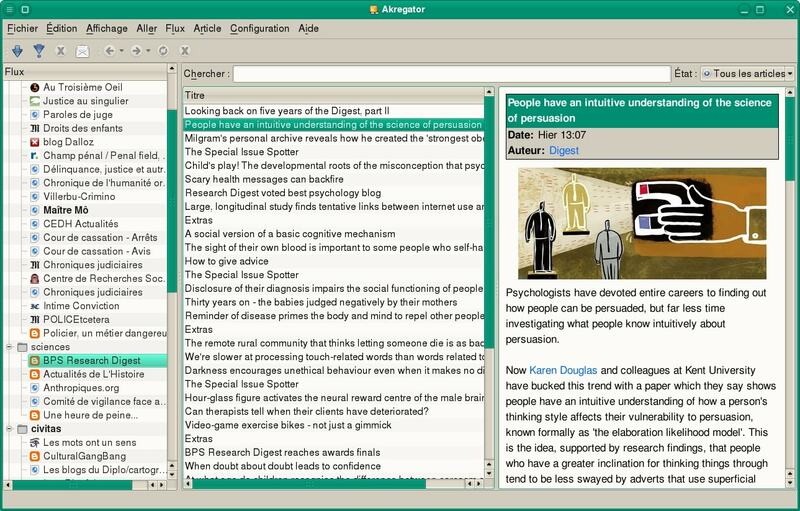 This is a self-contained news feed aggregator which is available for a number of Linux and Unix distros. I know that you can import an XML file of RSS feeds but it doesn't appear to have any integration with external services. Here's one which appears to have been abandoned since 2010 (no updates, at least) so it's not clear to me whether this app will operate independent of Google Reader. This is the app that caught my eye yesterday (thanks, Doug!). 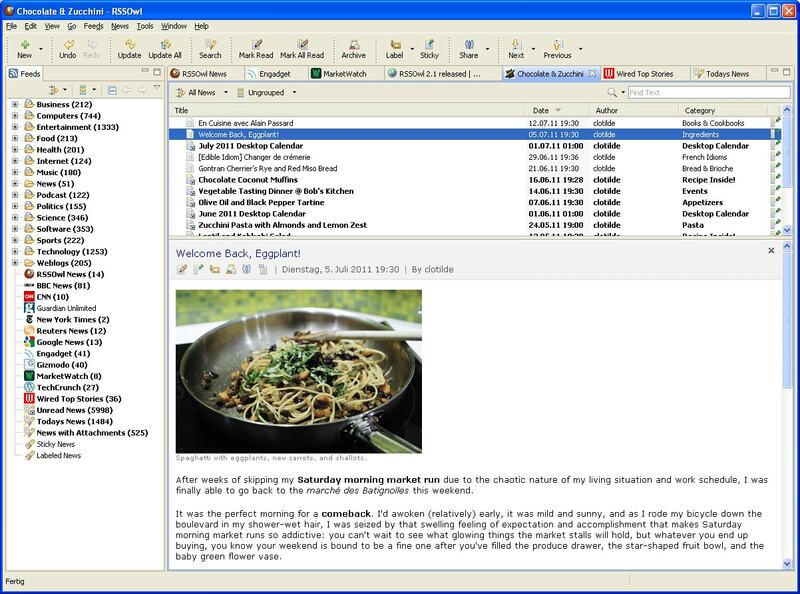 Unlike other news reader apps Liferea can be used independently or it can be used with does require an external service like Google Reader. Luckily this app can also integrate with Tiny Tiny RSS, making it a good option for the Linux user who wants to use a single account on multiple devices. This app is currently under development and is already set to survive the Readerpocalypse. It has different versions for Linux, Unix, and Windows. Liferea does *not* require access to an external service like Google Reader. None of the 4 readers listed here do. Each will work quite happily on its own. 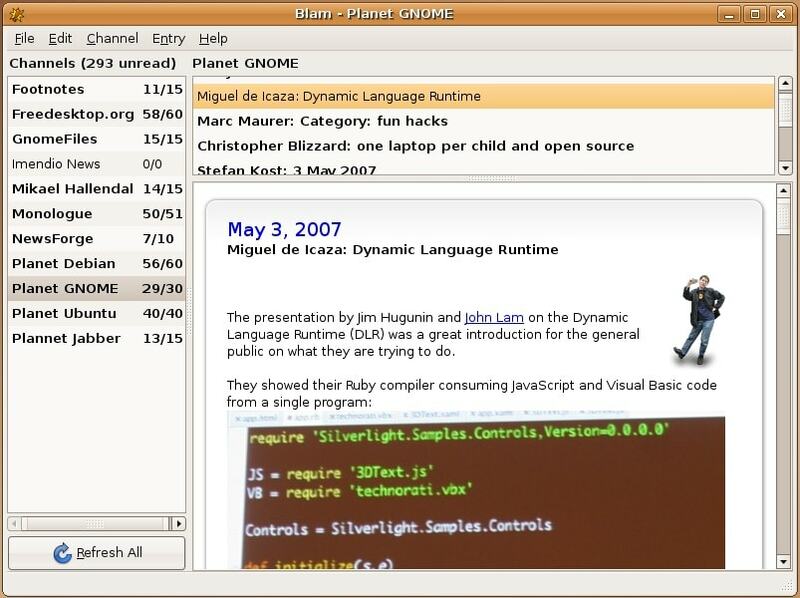 It’s been years since I’ve used Blam, but I know from recent personal experience that the other three can import/export OPML/XML subscription files. Whatever anyone decides to do post-Reader, they need to export their subscription list from that service before it vanishes. I’ve been happily using Akregator for 6 or 7 years now across several Linux distros and, you’re right, it doesn’t integrate with external services. If I wanted one that did, I would have migrated to a browser RSS reader, so it depends on user preferences. Btw, your screenshot shows the Kontact PIM screen. Readers not familiar with Akregator may think they’re getting the Journal, Time tracker, Calendar, etc etc sections as well, which they aren’t. I might just take a hike across to RSSOwl, though, and see what they’re up to. Thanks for the round-up!